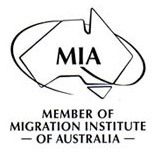 The AAT - Administrative Appeals Tribunal (Migration and Refugee Division) is a statutory body which provides a final, independent, merits review of visa related decisions made by the Department of Home Affairs. There may be a number of reasons and circumstances that you can use to make an appeal to the AAT. You will need to deal with the matter as soon as possible, as there are time-sensitive requirements and there is a relatively short window of opportunity to lodge an appeal. We cannot take on an appeal if the time given to you by the AAT to respond has expired. We can look through the information in the Department of Home Affairs decision that has lead to you being offered the opportunity to make an appeal of an adverse visa decision to the AAT, and advise you as to the options available to you. There are no guarantees that an adverse decision can be overturned on appeal, and there are lengthy delays in an appeal being heard by the AAT. We find that many clients feel very vulnerable facing an AAT appeal and we will provide you with sympathetic and professional advice so that you are aware of the consequences following the AAT’s decision.